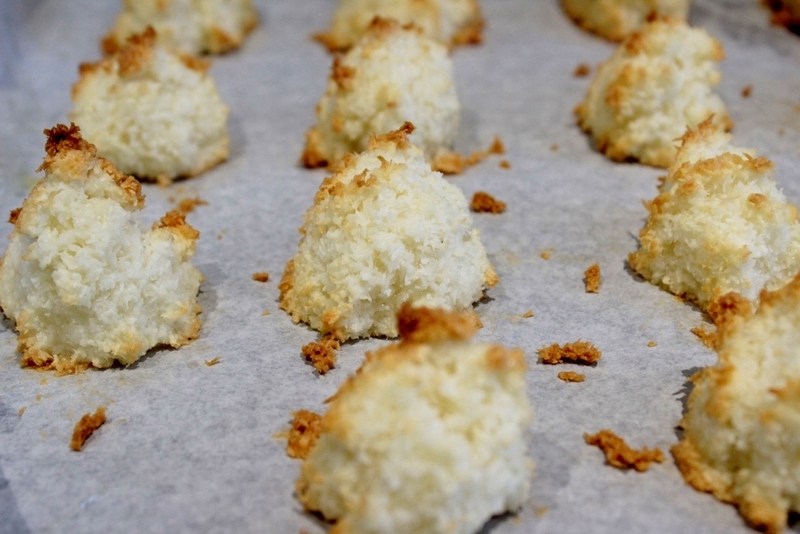 Macaroons- what comes to mind? I’m guessing the colourful pastel cakes you’ve previously seen being made on Bake off or in the windows of French Patisseries. 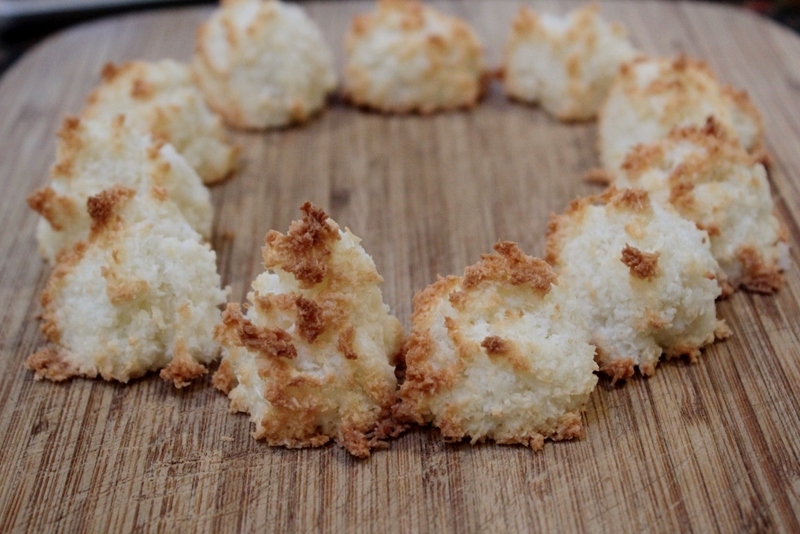 However last weekend I came across a different form of macaroon and this was the plain coconut one made from desiccated coconut, sugar and egg. I came cross this delightful treat at a market up in Barnsley. Served warm at the cost of £1 or 3 for £2.50 I can honestly say I savoured every bite. Cripsy on the outside, sweet and melt in the mouth on the inside I simply couldn’t get enough of them. Therefore as soon as I was home I was already searching for a recipe on how to make them. 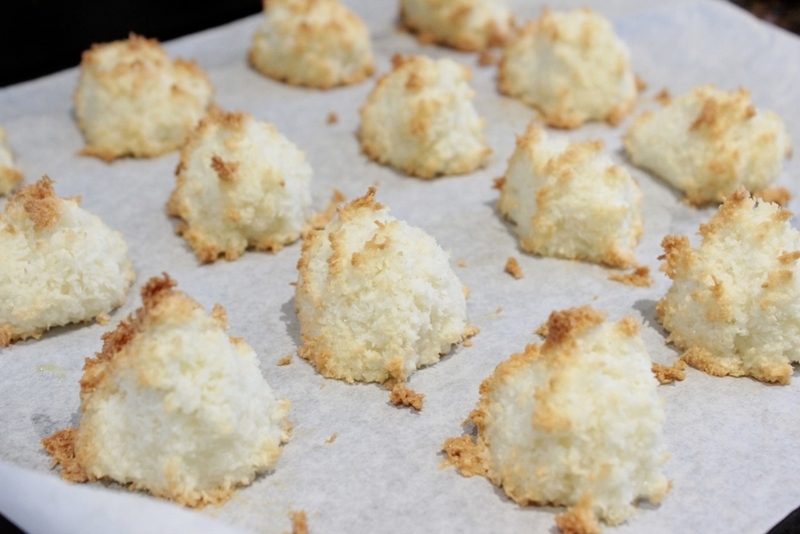 On searching the net I came across several different recipes, some using condensed milk, others using chocolate and cream however the one I opted for uses quite simple ingredients and is a fabulous recipe if you want to just whip something sweet up at the drop of a hat. 1) Preheat the oven to 160C/fan. Line a baking tray with grease-proof paper. 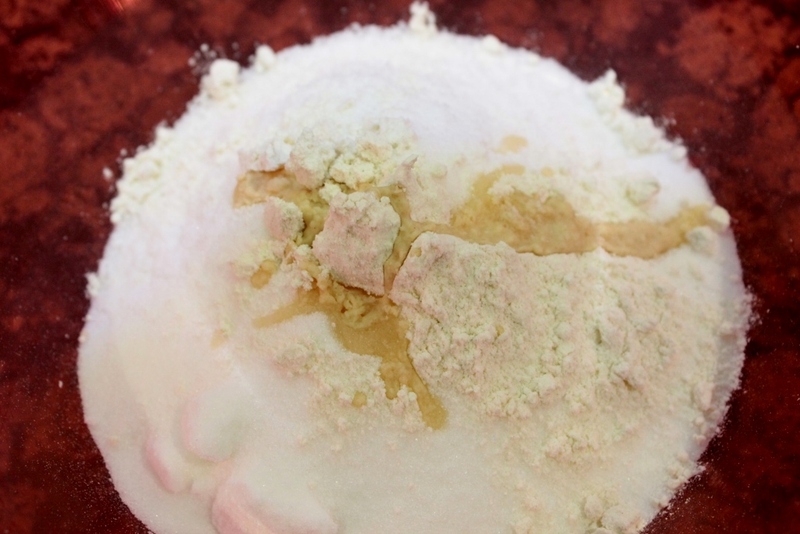 Mix the coconut, sugar, flour and vanilla extract into a bowl together until combined. Next add the egg whites pouring slowly so it is absorbed into the mixture and mix together until you have a slightly sticky mixture. 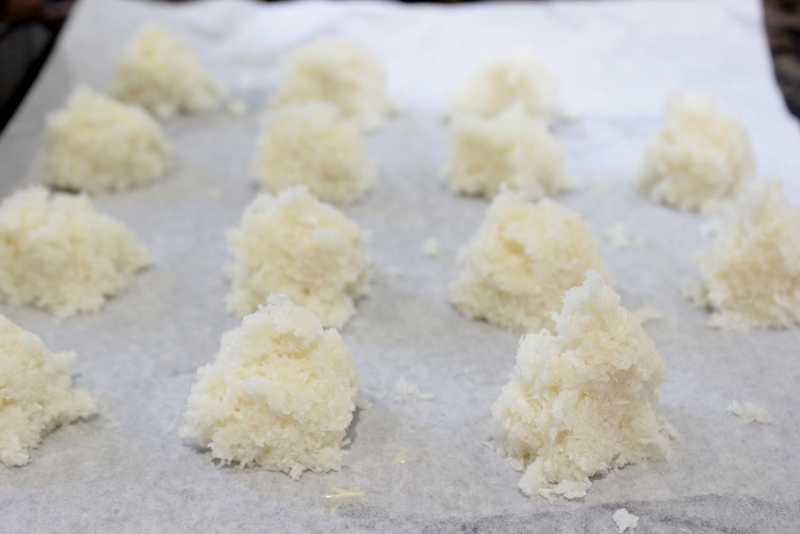 2) Using a spoon, dollop the mixture on to a baking tray and shape he mixture into small dough ball shapes. Bake in the oven for 15 mins, the tops will turn a golden brown colour but make sure not to overbake. 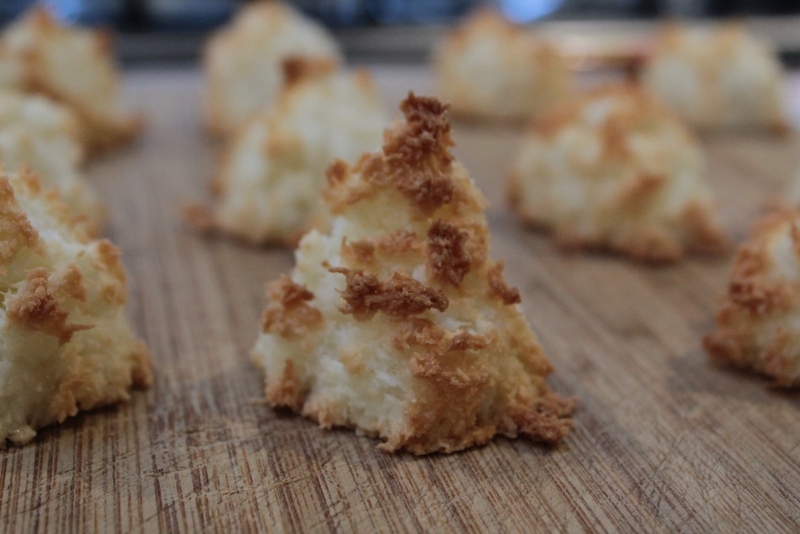 These macaroons have become a household favourite and since first baking them I have made 4 more batches. I can’t believe I’ve never tried them before. They are fabulous for an after dinner treat and served best warm. So far I’ve had them plain but they’d be fabulous dipped in melted chocolate so I might just have to try that next. Enjoy!